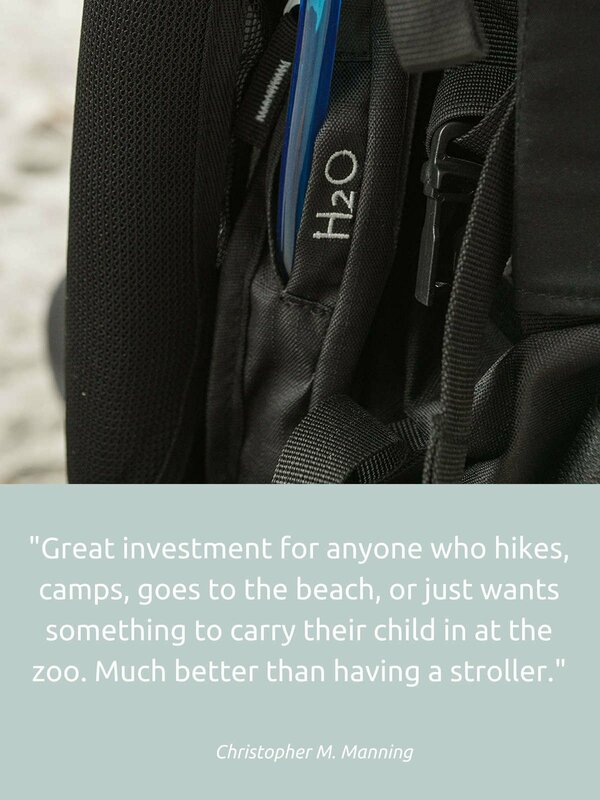 This baby to toddler carrier pack features a light weight and rigid external metal frame to assist in evenly distributing up to 40 lbs (babies ranging from 6 months (and/or needs to be able to hold head up) to 4 years old). Waist belt fits snug and sturdy (sizes between 27 - 48); multiple adjustment options for shoulder straps to sit off of your shoulders which gives you ideal posture perfect hiking with your kids. WE BUILT THIS BABY CARRIER FOR KIDS! It works just as easily with a child 6 month (requires head control) to 4 years (Recommended weight 15 - 40 LBS). The baby sits safely inside a 4 point, adjustable harness system on a "cloud-like" padded seat that also adjusts for the height of your baby. Babies shoulders will be snuggly hugged by our tall protective side cushions and baby faces our soft padded head pillow. 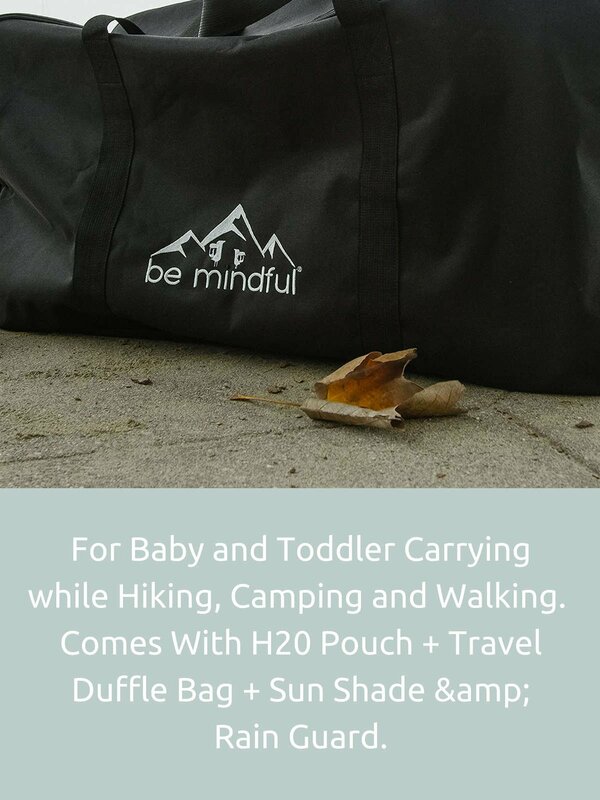 When baby is not enjoying the hike she will be snoozing comfortably. We've had our backpack tested for lead, fire retardancy and usability by a 3rd party CPSC approved and sanctioned lab. 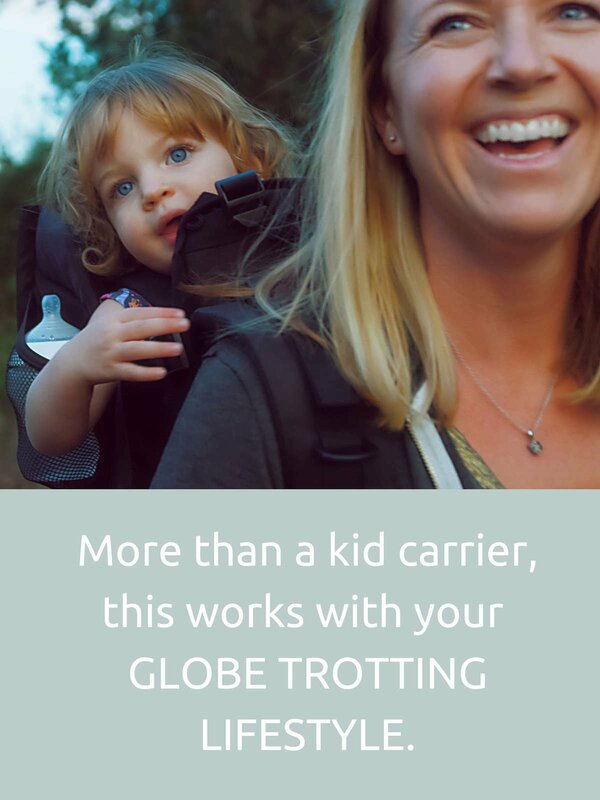 Additionally, our staff has ground tested every aspect of the carrier "in the wild" from plane to tundra; you'll find the finished product to be ergonomic for you and a rewarding outdoor experience for the child.